Celebrate National Gin and Tonic Day at the Little Italy Food Hall! 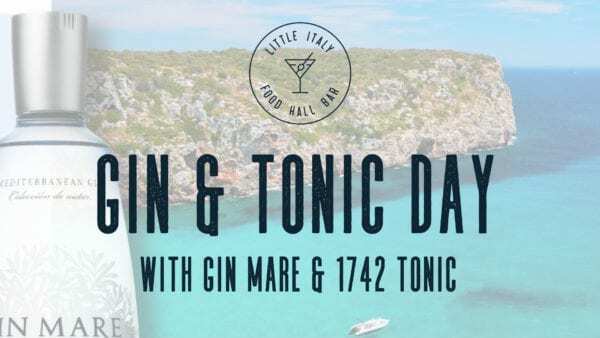 In collaboration with Gin Mare and 1742 Tonic Water, we will be serving Gin & Tonic specials ALL DAY! With special food pairings from select stations. Plus, we will be giving away branded Gin and Tonic copa glasses while supplies last! 6pm-9pm: Gin Mare will be hosting samplings and telling guests about the ingredients and craftsmanship that goes into their Mediterranean Gin. They use traditional Mediterranean rhythms and techniques that highlight the flavors and aromas of their botanical ingredients.